Oppo's R15 and R15 Pro premium mid-rangers only went official this March, but the company is already working on a successor for at least one of them. It is unsurprisingly going to be called Oppo R17. That has been revealed today by a Chinese leakster who shared the image below on Weibo, the Chinese Twitter equivalent. 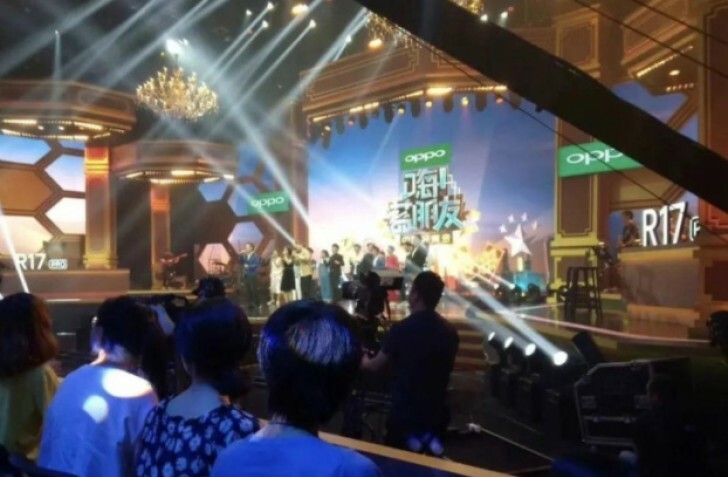 It was captured at an Oppo-sponsored media event, and as you can see the company has already started to tease the R17. No other details about the phone have come out of that event, but the same leakster has previously said that the handset will have up to 10GB of RAM. File that detail under the "unconfirmed rumor" category, however, unlike the name which is pretty much official at this point. Still, if this does pan out, the R17 has the potential to become the first ever smartphone to sport such a huge amount of memory. That will definitely please those who crave ever bigger numbers on spec sheets. Who needs a 10 Gig ram? Absolute BS to justify an overpriced phone again. 16 gigabit = 2 GigaBYTE Also, the article clearly states 4 chips will be used so 8GB total.